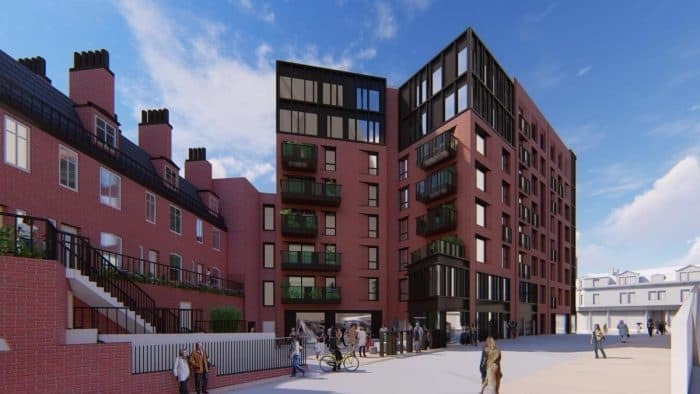 Plans have been submitted for Block B of the Heart of the City II scheme in Sheffield. The development features a sensitive redevelopment of Laycock House, a late Victorian building that has remained relatively unchanged throughout its history. The Block B submission has been designed by Leonard Design in partnership with Queensberry. Earlier this month planning was also submitted for a nearby project also within the HoCII scheme. The ‘Pepper Pot’ development, now along with Block B has started to generate great momentum for the masterplan in Sheffield. Situated between Pinstone Street, Cross Burgess Street, Charles Street and fronting onto Pinstone Street, Block B will occupy a prominent city centre location. 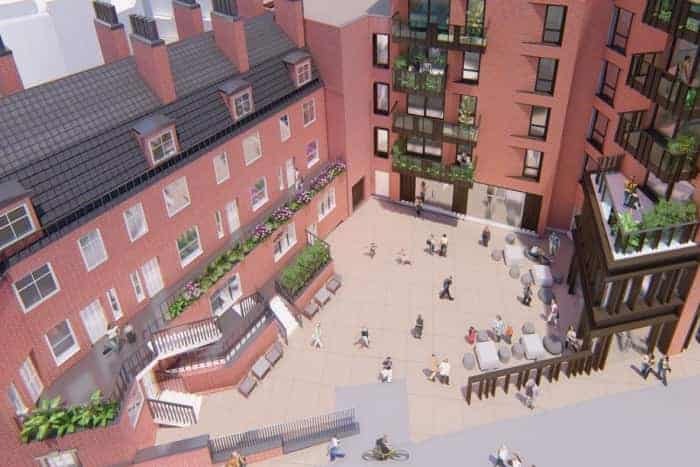 The scheme will see a sensitive renovation of the residences and smaller retail units within Laycock House. Behind the building the courtyard will be transformed into a city garden with a café proposed on the ground floor with tables spilling out into the new space. 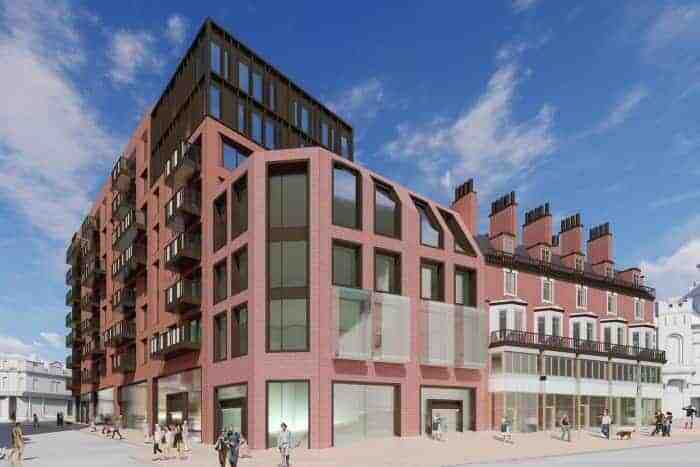 Four new retail units are also being introduced at ground level with 52 high-quality apartments spanning the seven floors above. Leonard Design have been responsible for the design of the overall masterplan for the Sheffield Heart of the City II along with multiple projects within the scheme. Along with the two planning submissions this also includes Phase 1 which includes the new home of HSBC. The HSBC office is now nearing completion with a fit-out expected early next year.